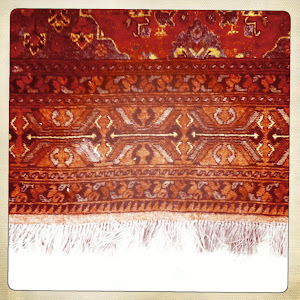 Love, in many of its infinite guises, is explored on Bring the Family like on few other contemporary albums. 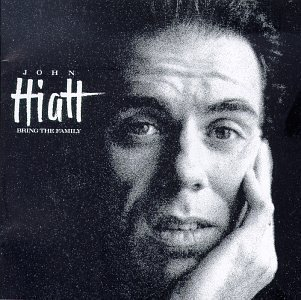 John Hiatt’s last chance masterpiece from 1987 is in many ways the best and most complete exposition of that four lettered word ever put to tape. I know that’s saying a lot but I’ve not yet come across another record where each song is a precise and concise sermon on LOVE. Starting out with Memphis in the Meantime, (which needs to be played LOUD to appreciate the song’s full joyful impact) Hiatt treats us to the love that can only be found dancing with your sweetheart in a sweaty honky tonk, then shows us love betrayed by cowardice (Lipstick Sunset), lost love (Alone in the Dark) and the kind of love your lover provides when you’re feeling weak (Have a Little Faith in Me). And which one of us haven’t felt eternal gratitude for our unbelievable luck in finding the love of our soul mate/saviour (Thank You Girl). And so it goes. It is hard to believe that Hiatt, who in 1987 was a washed up, broken down, dropped-by-his-record-label ex-drunken underperforming musician, when he and some mates (Ry Cooder, Nick Lowe, Jim Keltner) scrounged enough cash together for a half a week’s studio time to put together a final attempt to get the industry’s attention. This does not sound anything like a man out of ideas. Each song is an eloquent extolling of this Thing Called Love every bit as pithy and quite a bit more succinct than Shakespeare’s celebrated sonnets. Unlike almost every other love rock ‘n roll love song in history, Stood Up is a giant unabashed song of love to himself. The album wraps up with the fantastic Learning How to Love You. What man has not wanted to sing this song to his wife, girlfriend or lover? Bring the Family is quite simply one of the best American records of the last 30 years. It is fun, full of music of the highest calibre and a genuinely honest, warts and all, mature, vulnerable, irascible telling of love’s eternal story. 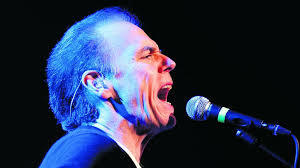 In general I think John Hiatt is pretty over-rated on record (live, especially acoustic, he can be awesome). But this CD is *killer* start to finish. It's better than any "best of" off of ten of his other albums you could put together. I own thousands of CDs and come back to this one over and over again. It's that good. I've never seen or heard him live, so will accept your judgment. But like you this is one of those records that just doens't grow old. Desert Island disk. Loose, live, rockin', heartbreakin', thoughtful and alive. 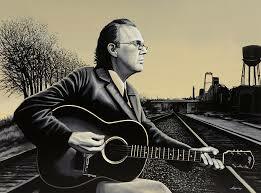 This is the absolute pinnacle of Hiatt's career (by a larger margin) and one of the best albums of the past 30 years.